There is a massive shopping centre (well, compared to most Japanese sizes) in Rifu. Known to all as 'Jusco', although technically AEON Rifu Shopping Centre, it contains a supermarket (Jusco) and loads of shops & restaurants. Including a recent addition- Claire's Accessories! No 100 yen shop, but has pretty much everything else. There's also a big UNIQLO near the movix cinema and loads of nice restaurants round there, including Hinano, a great all you can eat organic food restaurant. Rifu is also home to Miyagi stadium, or Grandi 21. If you're interested in football (soccer), you might like to know that it's where Japan got knocked out of the 2002 FIFA World Cup. There's also a nice onsen near the stadium. As part of the complex, as well as one in another part of town, there's a swimming pool and nice sports facilities. 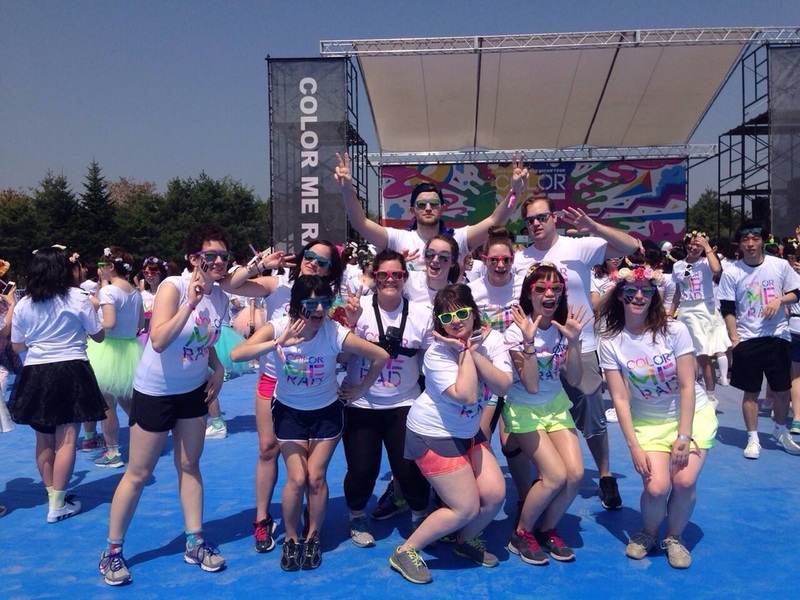 Annually, this is the location of the Color Me Rad Run. The other highlight of Rifu is the nashi (Asian pear). They are grown in orchards near the station and can be picked in October. connection. If sports or fruit aren't your thing, there's a friendly Japanese speaking (Baptist??) church near Rifu station.